Contact Georgetown Auto Sales Inc today for information on dozens of vehicles like this 2019 Ford Super Duty F-250 SRW XLT. When you purchase a vehicle with the CARFAX Buyback Guarantee, you're getting what you paid for. You appreciate the finer things in life, the vehicle you drive should not be the exception. Style, performance, sophistication is in a class of its own with this stunning Ford Super Duty F-250 SRW. Take home this Ford Super Duty F-250 SRW XLT, and you will have the power of 4WD. It's a great feature when you need to drive over tricky terrain or through inclement weather. The Ford Super Duty F-250 SRW XLT will provide you with everything you have always wanted in a car -- Quality, Reliability, and Character. 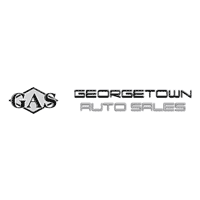 Thank you for visiting another one of Georgetown Auto Sales Inc's online listings! Please continue for more information on this 2019 Chevrolet Silverado 1500 RST with 2,795mi. Drive home in your new pre-owned vehicle with the knowledge you're fully backed by the CARFAX Buyback Guarantee. With amenities and luxuries befitting a modern day king, this splendorous coach reigns supreme. No matter the terrain or weather, you'll drive at ease in this 4WD-equipped vehicle. With exceptional safety features and superb handling, this 4WD was engineered with excellence in mind. There is no reason why you shouldn't buy this Chevrolet Silverado 1500 RST. It is incomparable for the price and quality. Looking for a clean, well-cared for 2019 Chevrolet Silverado 2500HD? This is it. When you purchase a vehicle with the CARFAX Buyback Guarantee, you're getting what you paid for. This Chevrolet Silverado 2500HD LT's level of quality is not meant for just anyone. It's meant for the person who strives for a classy, comfortable, and luxurious car. No matter the terrain or weather, you'll drive at ease in this 4WD-equipped vehicle. With exceptional safety features and superb handling, this 4WD was engineered with excellence in mind. This vehicle won't last long, take it home today. Contact Georgetown Auto Sales Inc today for information on dozens of vehicles like this 2019 GMC Sierra 1500 Denali. When you purchase a vehicle with the CARFAX Buyback Guarantee, you're getting what you paid for. You deserve a vehicle designed for higher expectations. This GMC Sierra 1500 delivers with a luxurious, well-appointed interior and world-class engineering. Equipped with 4WD, this GMC Sierra 1500 gives you added confidence to tackle the surface of any path you take. Beautiful color combination with Onyx Black exterior over Jet Black interior making this the one to own! Thank you for visiting another one of Georgetown Auto Sales Inc's online listings! Please continue for more information on this 2019 Ford Super Duty F-350 SRW Platinum with 47mi. This vehicle is loaded with great features, plus it comes with the CARFAX BuyBack Guarantee. This Ford Super Duty F-350 SRW Platinum's level of quality is not meant for just anyone. It's meant for the person who strives for a classy, comfortable, and luxurious car. Taking the road less traveled has never been more fun than with this 4WD. With improved performance, mileage and acceleration, this 2019 4WD Ford Super Duty F-350 SRW Platinum is king of the off-road. Added comfort with contemporary style is the leather interior to heighten the quality and craftsmanship for the Ford Super Duty F-350 SRW Take the guesswork out of where you are going with the top-tier navigation system found on this exceptional Ford Super Duty F-350 SRW. Thank you for your interest in one of Georgetown Auto Sales Inc's online offerings. Please continue for more information regarding this 2019 Chevrolet Silverado 1500 LT Trail Boss with 1,952mi. When you purchase a vehicle with the CARFAX Buyback Guarantee, you're getting what you paid for. Pull up in the vehicle and the valet will want to parked on the front row. This Chevrolet Silverado 1500 is the vehicle others dream to own. Don't miss your chance to make it your new ride. No matter the terrain or weather, you'll drive at ease in this 4WD-equipped vehicle. With exceptional safety features and superb handling, this 4WD was engineered with excellence in mind. Surprising quality accompanied by a high level of performance...this Summit White on Jet Black Chevrolet Silverado 1500 LT Trail Boss could end up being the perfect match for you. Thank you for your interest in one of Georgetown Auto Sales Inc's online offerings. Please continue for more information regarding this 2018 Chevrolet Silverado 1500 High Country with 16,400mi. Your buying risks are reduced thanks to a CARFAX BuyBack Guarantee. You appreciate the finer things in life, the vehicle you drive should not be the exception. Style, performance, sophistication is in a class of its own with this stunning Chevrolet Silverado 1500. At home in the country and in the city, this 2018 4WD Chevrolet Silverado 1500 High Country has been wonderfully refined to handle any occasion. Smooth steering, superior acceleration and a supple ride are just a few of its qualities. There are many vehicles on the market but if you are looking for a vehicle that will perform as good as it looks then this Chevrolet Silverado 1500 High Country is the one! This outstanding example of a 2018 Jeep Wrangler JK Unlimited Sahara is offered by Georgetown Auto Sales Inc. Drive home in your new pre-owned vehicle with the knowledge you're fully backed by the CARFAX Buyback Guarantee. Do so much more with one vehicle. This Jeep Wrangler JK Unlimited gives you everything you need an automobile to be. This 4WD-equipped vehicle handles any condition on- or off-road with the sure footedness of a mountain goat. With unequaled traction and stability, you'll drive with confidence in any weather with this Firecracker Red Clearcoat 2018 4WD Jeep Wrangler JK Unlimited Sahara. You could keep looking, but why? You've found the perfect vehicle right here. Georgetown Auto Sales Inc is pleased to be currently offering this 2018 Jeep Wrangler JK Golden Eagle with 7,614mi. Only the CARFAX Buyback Guarantee can offer you the comfort of knowing you made the right purchase. As a compact SUV, this vehicle packs all the performance of a full-size into a package that easily navigates the urban terrain. Take home this Jeep Wrangler JK Golden Eagle, and you will have the power of 4WD. It's a great feature when you need to drive over tricky terrain or through inclement weather. There are many vehicles on the market but if you are looking for a vehicle that will perform as good as it looks then this Jeep Wrangler JK Golden Eagle is the one! Georgetown Auto Sales Inc is pleased to be currently offering this 2018 Chevrolet Silverado 1500 LT with 15,926mi. Your buying risks are reduced thanks to a CARFAX BuyBack Guarantee. Quality and prestige abound with this Chevrolet Silverado 1500. At home in the country and in the city, this 2018 4WD Chevrolet Silverado 1500 LT has been wonderfully refined to handle any occasion. Smooth steering, superior acceleration and a supple ride are just a few of its qualities. This is the one. Just what you've been looking for. Georgetown Auto Sales Inc is honored to present a wonderful example of pure vehicle design... this 2018 Kia Soul + only has 23,480mi on it and could potentially be the vehicle of your dreams! Your buying risks are reduced thanks to a CARFAX BuyBack Guarantee. This is the one. Just what you've been looking for. The Kia Soul + will provide you with everything you have always wanted in a car -- Quality, Reliability, and Character. Driven by many, but adored by more, the Kia Soul + is a perfect addition to any home. Georgetown Auto Sales Inc has a wide selection of exceptional pre-owned vehicles to choose from, including this 2018 Nissan Armada. Your buying risks are reduced thanks to a CARFAX BuyBack Guarantee. This Nissan Armada Platinum has a tough exterior complemented by a well-designed interior that offers all the comforts you crave. Opulent refinements married with exceptional engineering make this the kind of car you'll want to own for a lifetime. Enjoy safety and stability with this all-wheel drive vehicle and drive with confidence in any condition. Treat your family to the joy of a vehicle with a super premium entertainment package like the one found in this vehicle. Added comfort with contemporary style is the leather interior to heighten the quality and craftsmanship for the Nissan Armada The Nissan Armada Platinum has a navigation system installed, so you'll always know where you're going. This top-tier navigation system is reliable and will get you to your destination quickly and by the most efficient route available. Check out this gently-used 2018 Jeep Wrangler JK Unlimited we recently got in. When you purchase a vehicle with the CARFAX Buyback Guarantee, you're getting what you paid for. Want to brave the road less traveled? You'll have the 4WD capabilities to do it with this vehicle. You've found the one you've been looking for. Your dream car. The look is unmistakably Jeep, the smooth contours and cutting-edge technology of this Jeep Wrangler JK Unlimited Altitude will definitely turn heads. Georgetown Auto Sales Inc is pleased to be currently offering this 2018 Jeep Wrangler Unlimited Sahara with 638mi. Your buying risks are reduced thanks to a CARFAX BuyBack Guarantee. On almost any road condition, this Jeep Wrangler Unlimited Sahara offers solid performance, reliability, and comfort. At home in the country and in the city, this 2018 4WD Jeep Wrangler Unlimited Sahara has been wonderfully refined to handle any occasion. Smooth steering, superior acceleration and a supple ride are just a few of its qualities. Based on the superb condition of this vehicle, along with the options and color, this Jeep Wrangler Unlimited Sahara is sure to sell fast. This 2018 Ford F-150 XLT is proudly offered by Georgetown Auto Sales Inc This 2018 Ford F-150 comes with a CARFAX Buyback Guarantee, which means you can buy with certainty. You appreciate the finer things in life, the vehicle you drive should not be the exception. Style, performance, sophistication is in a class of its own with this stunning Ford F-150. Simply put, this Four Wheel Drive is engineered with higher standards. Enjoy improved steering, superior acceleration, and increased stability and safety while driving this 4WD Ford F-150 XLT. Driven by many, but adored by more, the Ford F-150 XLT is a perfect addition to any home. Check out this gently-used 2018 Ford F-150 we recently got in. Your buying risks are reduced thanks to a CARFAX BuyBack Guarantee. Sophistication & understated luxury comes standard on this Ford F-150 XLT. Well-known by many, the F-150 has become a household name in the realm of quality and prestige. This 4WD-equipped vehicle handles any condition on- or off-road with the sure footedness of a mountain goat. With unequaled traction and stability, you'll drive with confidence in any weather with this Black Velvet 2018 4WD Ford F-150 XLT. You can finally stop searching... You've found the one you've been looking for. Contact Georgetown Auto Sales Inc today for information on dozens of vehicles like this 2018 Nissan Maxima S. Drive home in your new pre-owned vehicle with the knowledge you're fully backed by the CARFAX Buyback Guarantee. Beautiful color combination with Gun Metallic exterior over Charcoal interior making this the one to own! There is no reason why you shouldn't buy this Nissan Maxima S. It is incomparable for the price and quality. The quintessential Nissan -- This Nissan Maxima S speaks volumes about its owner, about uncompromising individuality, a passion for driving and standards far above the ordinary.